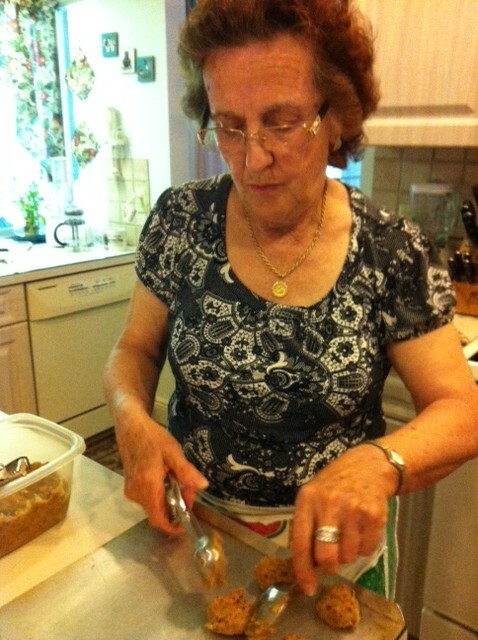 You may recall the original recipe Raffaela gave me, or you can look back in this blog to find the post. 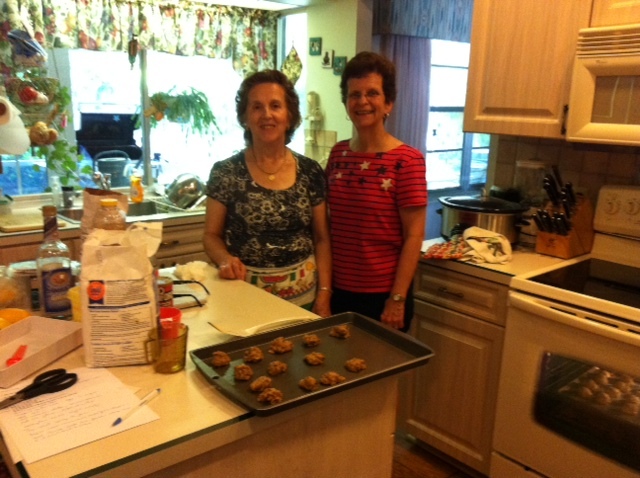 I followed with two partial translations and my friend’s friendly suggestion to make the cookies with Raffaela. 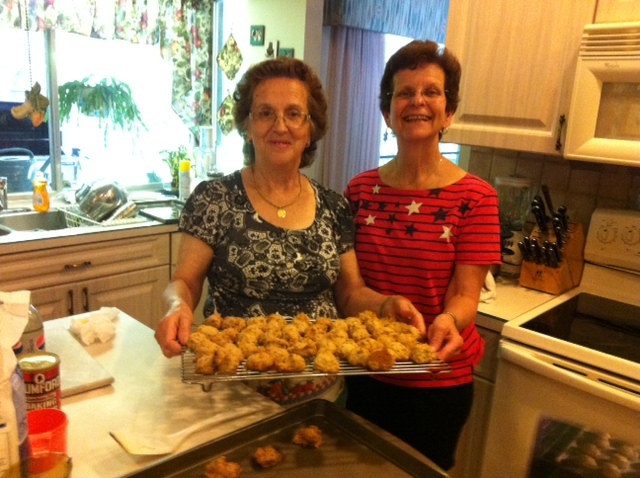 Raffaela came to my house with bags and bags of ingredients for the “Little Italian Lady” cookies, plus her two Pizzelle bakers. Raffaela understands some English and speaks a little, but her languages are Italian and French. Mine is English. It’s a good thing she brought the ingredients because some of the items I could not translate and find in my cabinet, much less anticipate and purchase. 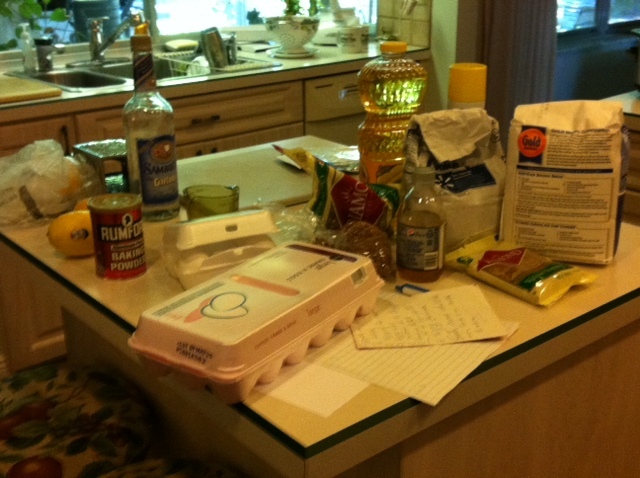 The assembly of the recipe included bi-lingual chatter, lots of smiles and laughing, much pointing, and me scribbling notes as I transcribed the complete recipe. At one point, I tapped the can of baking powder on my counter and learned Piccoli de Maggie is baking powder. I also confirmed that there are no “cats” in the cookies (see the second Little Italian Lady cookies post). Hey, I’m good now. Half of that conversation was in Italian, and I followed right along. 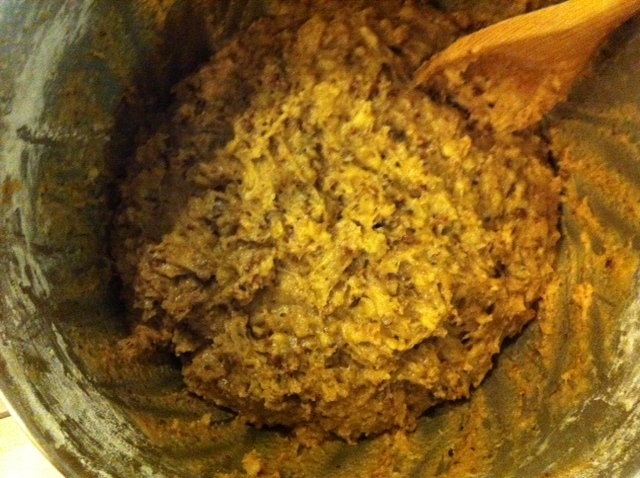 If you’re not using a heavy-duty mixer, it will be necessary to transfer the batter to a larger bowl and mix in the last of the flour. 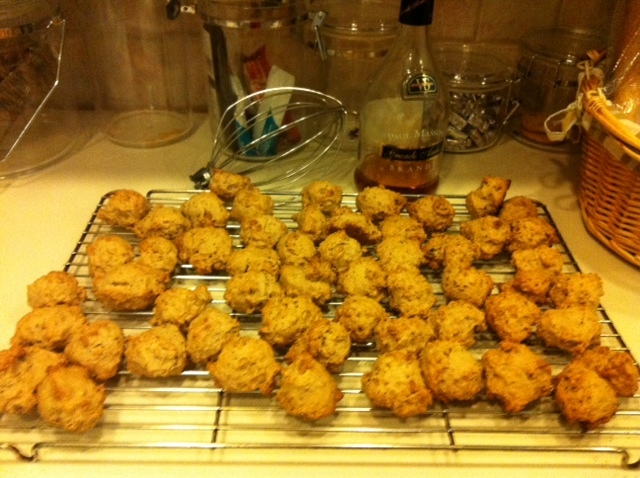 Drop batter by spoonfuls onto cookie sheet. Leaving about 1 ½ inches between cookies. (A 1½-inch melon-baller with a release lever works perfectly). You’ll need a spoon to help drop the cookie. Hint: Transfer batter to a plastic food storage box and the batter won’t stick to the side and will be easier to handle. Next week I’ll post the Pizzelle recipe. Delightful! What an enjoyable blog item. Thank you sor sharing. Now, how about a cookie or two?